Your signature will appear on the bottom of daily reports that you generate on-demand within the project. 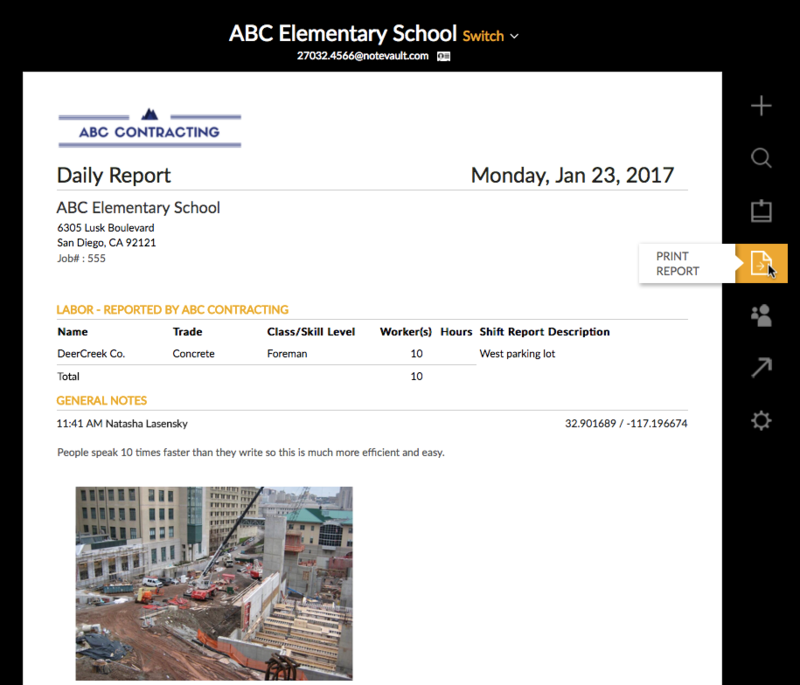 You can generate on-demand reports by clicking on "PRINT REPORT" within a project. Adding a signature is an excellent feature NoteVault offers to make the daily report more official and personalized. Users with "Partial Access" on projects will have their signature displayed automatically. All other users will see their signature on reports generated "On-Demand". Draw or type a signature on this free third-party website (or create an image on another website): http://signature-maker.net/signature-creator. Download the signature you created. After logging into the NoteVault website, click on “USER SETTINGS” (displayed as ☰) at the top left hand side of the page. From the new User Settings page, click on “User Details”. 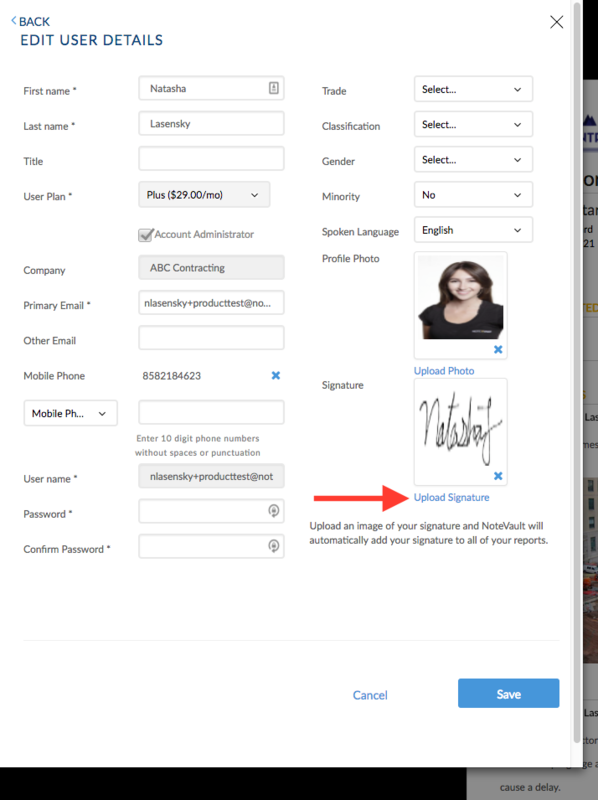 Click on “Upload Signature” and choose an image of your signature that you would like to upload. Click on “Save” at the bottom right of the page.